University of East Anglia. 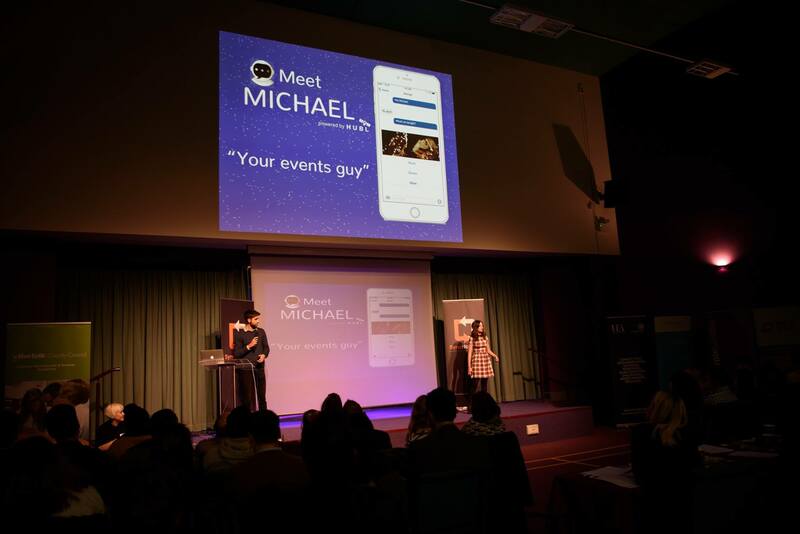 In 2016 it took place from Thursday 17 to Saturday 19 November at Norwich’s King Centre. Sync the City is a hackathon and tech start-up conference. The objective is to work in a team to create a tech start-up company in just 54 hours. I took part in SyncTheCity for the first time in 2016. It also took place in 2014 and 2015, but this is the first year that I felt brave enough to take part! I actually paid for my ticket several months in advance so that I couldn’t chicken out at the last moment! I really enjoyed it and I’m glad I went. I thought I would write a review of the whole weekend. Whilst registering on the Thursday evening, we were given our name badges, a wristband (red for developers, yellow for business people and blue for designers) and a tiddlywink. Attendees wanting to pitch a business idea then presented a one minute talk to the rest of the Sync The City participants (an audience of roughly 200-300 people). You didn’t have to pitch an idea in order to attend, and attendees could pitch more than one idea if they wished to do so. After the first round of pitches, the judges thought there wasn’t enough ideas so they gave the audience a second chance to see if anybody else wanted to pitch, which yielded many more start-up ideas. There were 29 pitches in total. The most notable ones were an AI-powered shopping list, a platform for socially-responsible businesses to make donations, autonomous tracking & scheduling for trucks, a fact-checker for news stories shared on social media, a safe collaboration tool and AI chatbot for bullied children, a student sign-in system for university lectures, and – most unusually – a service to re-use hair-cuttings from hairdressers and turn them into sustainable clothing. However, only 12 pitches could be taken further and so the voting started on which ideas would be successful! This is where the tiddlywink came into play – you simply placed your token in the cup of one of the pitchers and those with enough votes then continued on to the next stage. Once the 12 successful pitches had been announced, all attendees then approached the pitcher whose team they wanted to join. I was lucky enough to get into the team that I wanted; in fact I was the first person to approach the pitcher. James Harding’s initial idea was to build a crowdsourced local news website using Drupal. This particularly appealed to me as I work in the news publishing industry and have experience of building news and magazine websites using content management systems (although I didn’t have specific experience with Drupal, I have significant experience with WordPress and Polopoly, the latter of which I use as part of my job). I introduced myself and my skills to the James and he was very happy to have me as part of his team. Over the next few minutes, other Sync The City participants approached our table wanting to join our team. We ended up with 6 developers, 1 designer and 1 business person, who became our project manager. On the Thursday evening we were also introduced to our mentors – the mentor for our team was Ermine Amies from Sandler Training. I had met Ermine before at other SyncNorwich and SyncDevelopHER events and found her very inspiring. Her advice during the Sync The City event was invaluable, ensuring that we investigated which markets to focus on, and where exactly the revenue would be coming from. 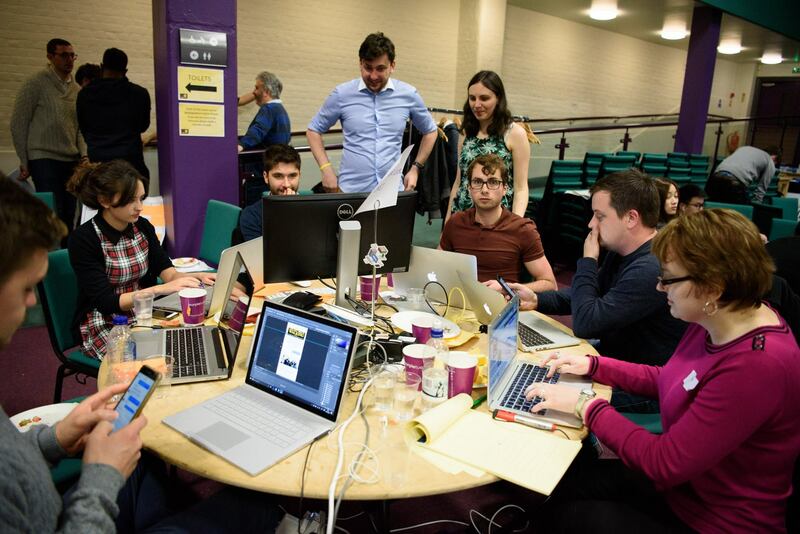 As mentioned earlier, we were originally going to build a crowdsourced local news website. 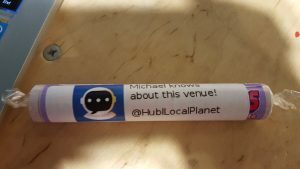 However, a couple of hours later, after further discussion and debate amongst our team, we decided to change (pivot) our idea to a crowdsourced local events listings and blog website, as we felt the initial idea was too broad in scope. We then split off into sub-teams based on our skillsets – one group hit the streets of Norwich and carried out some market research into how people get information on what’s going on in the city and how they discover events. Another group (which included myself) carried out competitor analysis into existing local events listings websites to find out what features and functionality they offer, and came up with ideas on how we could differentiate our own offering. The final sub-team carried out some initial research into the technology stack that we could use for the new site. During our competitor analysis we found that other local websites such as Outline Online already offered similar functionality, so the whole team got together the following morning to discuss the next steps. We then decided to build an AI events chatbot instead of a website – this was the final pivot of our start-up idea. On the Friday I attended one of the start-up conference sessions which were included as part of the event – it was a session about user interfaces and user experience design. When I got back to my desk, I carried out technical research into website scraping methods and building a simple website scraper in Python and PHP, and I also learnt how a simple chatbot is built in Python. These areas were both new to me, so it was an interesting day although we built the final product in PHP, using Ubisend for the chatbot service. stickers to go on packs of sweets to be given out to the audience at the grand final). Later in the day I played the role of a social media manager, setting up and running the official Twitter account for HublLocalPlanet. On Saturday evening, the event was opened up to the public for the final pitches and the prize-giving. Two prizes were available – a prize awarded to a team chosen by the judges, and a prize for the People’s Choice, where everyone that had participated as well as the audience got to vote on who they thought had the best idea. 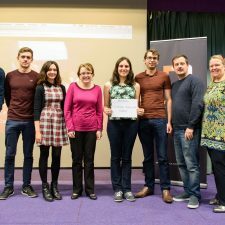 Pantry – an intelligent shopping list which can recommend healthy options and tell you when you need to buy milk – was named the winning idea by the judges and scooped the £3,000 top prize. 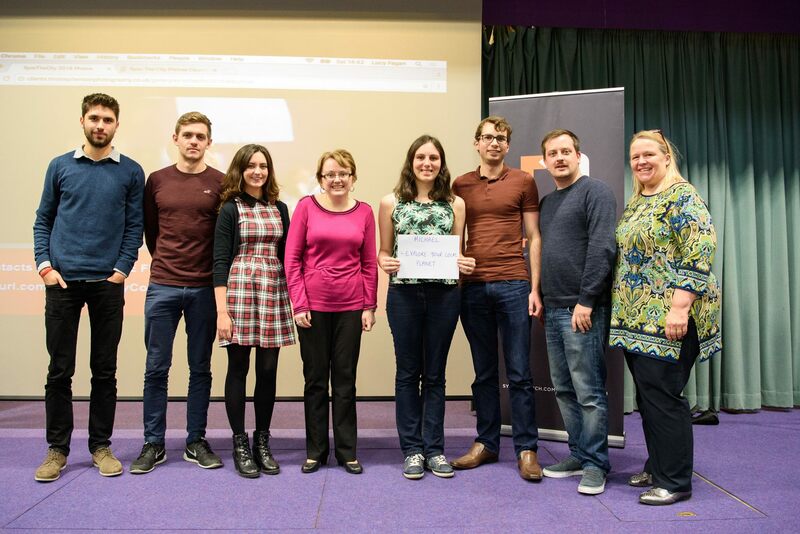 The £1,000 people’s choice prize, voted for by participants and the audience, was won by bullying advice bot Hector Help. Unfortunately our team didn’t win a prize, however I thought the winners were very deserving. After the final pitches and the prize-giving, Harry Harold from NeonTribe asked us if we wanted to help out with creating a chatbot for one of their clients. I couldn’t take part in this as it was during working hours so would have suited a student who has some free time during the week. However, I was really pleased that someone well-known in the local IT industry thought highly enough of our work that they wanted a person from our team to help them with a project. Overall, I think the event was great fun and I feel like I learnt a lot about what’s involved in creating a tech startup. It was my first year taking part and I think it has improved my self-confidence. It was a good experience working with team members, mentors, suppliers (eg Ubisend), business experts from other teams and King’s Centre staff. I had never worked such long hours before! On the Friday, I was there from 8am to 11pm, and Saturday only finished slightly earlier. It was certainly an experience to remember. The main things I learnt from the weekend are as follows: how to decide on what technologies are appropriate given the scale and time period in which you have to complete the project, the importance of time keeping and making sure you and your team are on track with your estimates, and good communication between team members is key! For anyone thinking of taking part in future years, I would say that you don’t have to be a developer to get something out of it – as long as you have an idea of a product, or some knowledge about business or design, you will be a valuable asset to whichever team you join. And you never know, you might just stumble onto something that will change your life. Event photos courtesy of Tim Stephenson Photography.